Craig Milroy, co-director of Stanford’s Product Realization Laboratory, interviews student Ian Connolly about his team’s approach to prototyping to address the need for a more effective, affordable solution for club foot. Craig Milroy, co-director of Stanford’s Product Realization Laboratory, interviews student Ian Connolly how his team’s prototypes progressed from quick, inexpensive, low-resolution models to a more advanced, near-final product. Craig Milroy, co-director of Stanford’s Product Realization Laboratory, interviews student Ian Connolly about his team’s approach to testing prototypes with users. 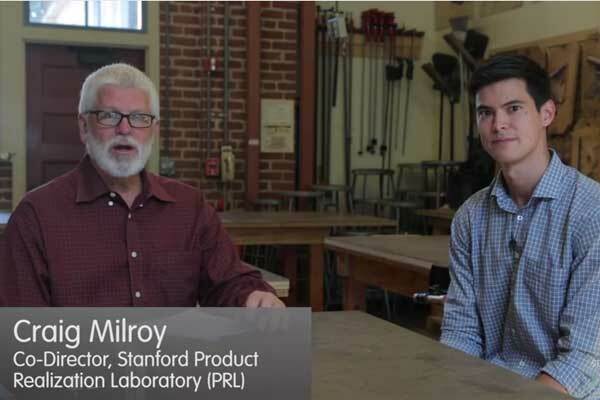 Craig Milroy, co-director of Stanford’s Product Realization Laboratory, interviews student Ian Connolly about some the value and importance of early, quick, inexpensive prototypes. 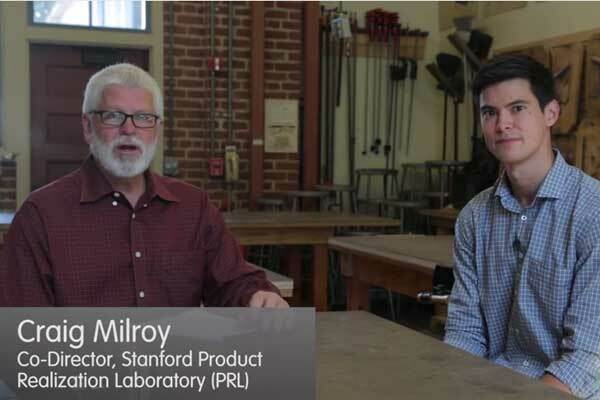 Craig Milroy, co-director of Stanford’s Product Realization Laboratory, interviews student Ian Connolly about how much his team spent on developing different types of prorotypes. Craig Milroy, co-director of Stanford’s Product Realization Laboratory, and student Ian Connolly give their advice to innovators undertaking prototyping.